The big day returns in just a few days on Saturday, October 24th. That’s when the Bentley Scottsdale Polo Championships: Horses & Horsepower returns for its fifth anniversary with some amazing new elements. And PERFECT WEATHER is in the forecast. Sideline Parking is now SOLD OUT and seats and tables in VIP tents are nearing capacity so be sure to go to www.ThePoloParty.com to get yours as soon as possible. Before event day be sure to join us at the Larsen Art Auction Preview Party on Wednesday, October 21st from 6-8pm at their gallery in downtown Scottsdale (3705 N Bishop Lane). There, some 250 pieces to be auctioned off in the Picasso Pavillion at The Polo Party will be on display for bidders. From four figure works of art to those well into the six figures there’s nothing quite like the Larsen Art Auction with polo in the background dressed by the beautiful McDowell Mountains. Please RSVP to RSVP@LarsenGallery.com. On Friday, October 23rd the Molina Fine Jewelers VIP Party returns for its fourth year at Al Molina’s spectacular boutique on Camelback Road. All players will be in attendance. This party is by invitation only and reserved for sponsors and certain ticket purchasers. 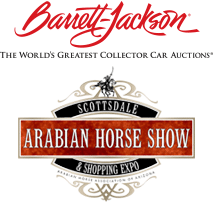 Scottsdale’s newest and best hotspots, and a new sponsor to this year’s event. Dakota and its sister clubs at Maya Day + Nightclub, The District and Shade Lounge at W Scottsdale will be adding another key feature on Saturday: The Triyar Ivy League Lounge. Other new elements this year include the High-Tea Tent presented by The Phoenician Resort, a Phoenix Symphony quartet playing during a period of play and field-side ballroom dancing by Fred Astaire Dance Studios. And it will be hard to miss this year’s mid-field horse tunnel by Mobile Mini. So will some of the field improvements made possible this year by first-time sponsor Realty Executives. Favorites back again this year include the Heineken Pavilion with Wasted Grain, and The Saguaro Hotel with its own field-side tent. The Canine Couture, a dog fashion show like no other, returns along with the World’s “Longest” Catwalk presented by Phoenix Fashion Week and sponsored by Cullum Homes. 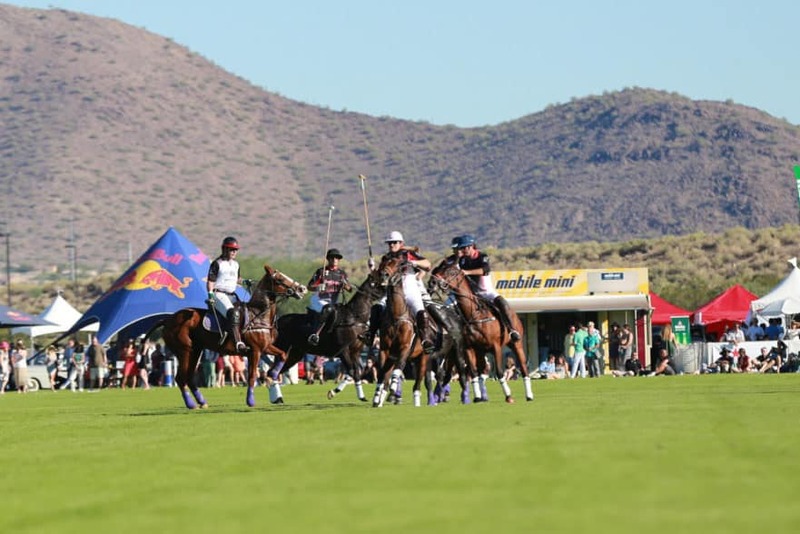 We are proud to welcome the Aspen Valley Polo Club and its formidable team of Nic Roldan, Juan Bolini and Melissa Ganzi to face-off in our featured match against the 2-time defending champions from Wales, led by event Hall of Famer Ricky Cooper. Our 11am match will also feature the reigning collegiate player of the year Kareem Rosser, the greatest African-American polo player of all time. We can’t wait to see you Saturday, if not before. For all of the latest information and tickets please go to www.ThePoloParty.com. Thank you for being a part of the world’s most interesting polo event.